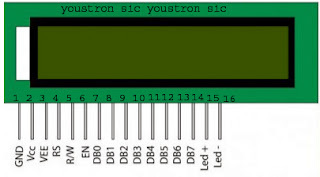 After you made these connections then Lcd look somewhat like this below i.e the lower line will be brighten..
Tutorial(with code) on interface lcd with microcontroller then check " Interfacing 16x2 lcd to Microcontroller "
Thanks for the post! This help me to conclude that my display is not working. I was desperate, and you had the answer! Thanks a tonne man! This is the exact test i have been looking for! Thank you. that really helped. I have an LCD Display removed from a clock, do you know how test it. I guess such type of LCD are customized and terminals are unknown but there could be some way to test it. My LCD doesn't even light up (jhd162a) after making the above connections.. Can this happen?? Thanks. My LCD backlight wouldn't light up... could only see the text vaguely. After connecting it like this the backlight lit up again. It somehow resetted the LCD back to normal. in your statement for testing 16x2 you state the lower line will be bright. then you make the statement that if your LCD is not working both lines will be bright. If step 1 is working how do you test the top line? Thanks. Saved me a lot of time. 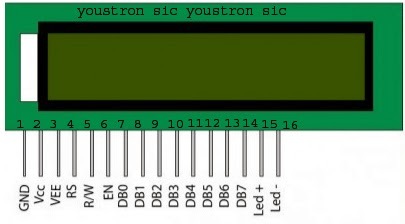 Now or find out why my arduino setting do not work !!! 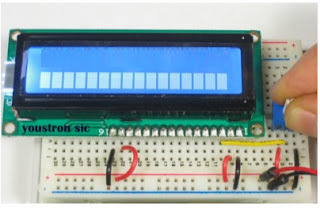 Nice explained step by step solution, if you have any issue with your lcd. Visit Buy Large Format Lcd Displays offers the best and excellent image quality. the lcd light brightens but the upper one not lower, what does that mean? Finally I could able to see light in my LCD Panel..